We wanted to create an experience that is connecting the real world with the digital “world”. Besides we wanted to try out how image recognition works and if a physical line can be transformed into a digital one. With this concept in mind, we thought about making an AR Game with distinctive style to learn more about the possibilities of Augmented Reality. 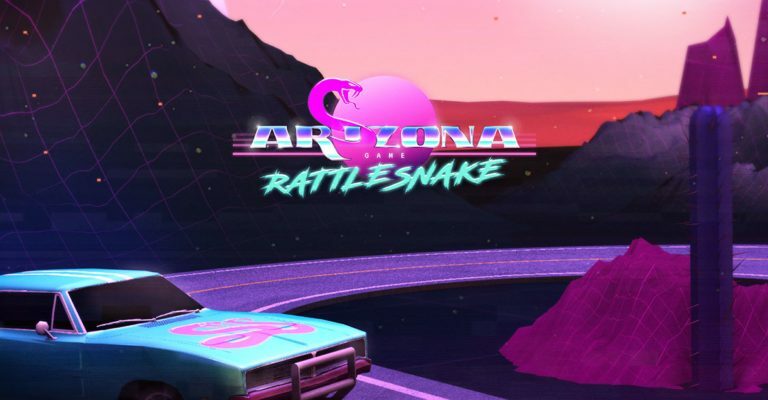 Design wise, we had the idea to combine the desert of Arizona with 80s arcade games style, synthetic music and drifting cars on a highway. It was pretty difficult to extract the drawn track from the camera image and create a seamless, textured mesh as foundation of a racing environment, while ignoring possible false detections. The first step was to detect the sheet of paper in the camera image, by leveraging the papers rectangular shape. Once the paper is found, the part of the image on the inside is used for a contour detection. The extracted contour can be used to generate points along the racing track, which are then automatically transformed into a textured 3D mesh and displayed using Augmented Reality. FWA has always been an important platform for us to reach a wide range of other geeks, agencies, and innovative clients out there. It has influenced our work since the very beginning and always kept us up to date, about the great work people are pushing forward in several digital areas. Especially since a few of us are members of the FWA jury. It is an honor for us to be part of this community and we are looking forward to some more FWAs in the future. For programming, we used Unity 3D, OpenCV, ARKit. For modelling Cinema4D and 3ds Max. Last but not least we used Akeytsu for animation. There are 17 types of rattlesnakes in real Arizona/USA.